"I just went out there and tried to be aggressive, play within our offence and not do anything too crazy," he said. "I was getting open shots. Damian (Lillard) was finding me, other guys were finding me." 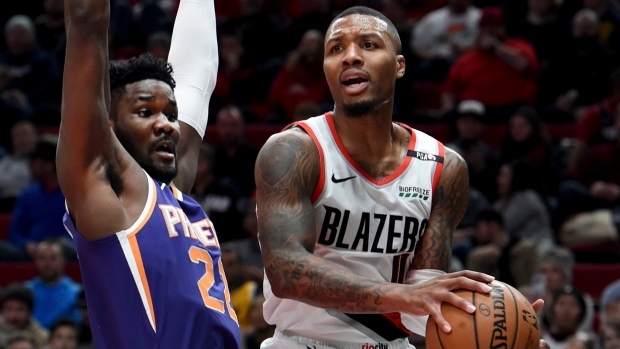 The Suns relied heavily on three rookies, Elie Okobo, Mikal Bridges and centre Deandre Ayton while missing T.J. Warren for the fourth straight game because of right ankle soreness and Devin Booker for the second game because of a left hamstring strain. Booker is the team's top scorer, averaging 23.5 points, while Warren averages 17.7.